While a minor U.S. holiday called Armed Forces Day is celebrated each May, we wanted to use this Veterans Day as a time to not only recognize those Proctor Alumni and family members who are veterans (like Yearbook Advisor Dan Mori '83), but to hear perspectives from a group of six young alumni who are active duty armed forces. Thank you to each of these men and women for their current service to our country, and thank you to all those veterans who have served in the past. Enjoy this window into Kaitlyn '08, Hunter '09, Jaguar '09, Kate '12, Andrew '09, and Chandler's '17 journeys. On 6 August 2013, I enlisted in the Army and attended Basic Combat Training at Ft. Leonard Wood, Missouri. I then attended Advanced Individual Training at Ft. Leonard Wood, Missouri, where I trained as an 88Mike, Motor Transport Operator. 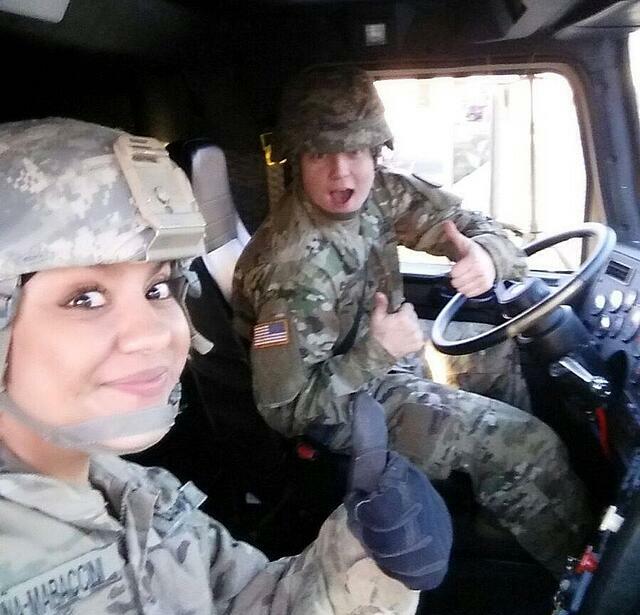 In 2014, I was assigned to 66th Transportation Company, 18th Combat Support Sustainment Battalion, 16th Sustainment Brigade Kaiserslautern, Germany, where I served as a Motor Transport Operator, and Operations NCOIC. For three years I have been driving line haul trucks all across Europe visiting 24 different countries and driving over 50,000 miles. In 2017, I was assigned to 32nd Composite Truck Company, 68th Combat Support Sustainment Battalion, 4th Sustainment Brigade Ft. Carson, Colorado where I currently serve as a Motor Transport Operator supporting Operation Atlantic Resolve. In other words, I was shipped back to Europe and I am currently driving all over Europe again! I never in my life time thought I would get to travel Europe, and have now been to most countries people would only dream of visiting, as well as some people may not even know exist. 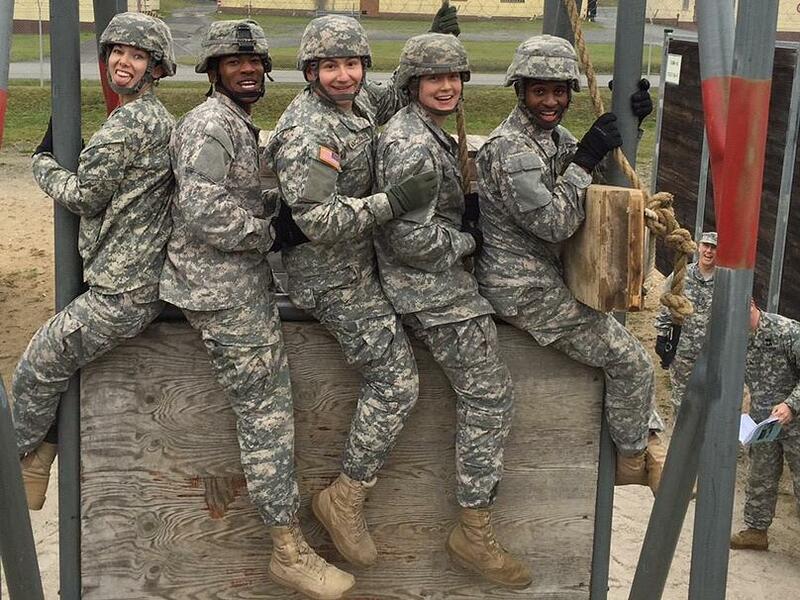 The experiences of meeting new people from cultures around the world in the Army mirrors my experiences at Proctor where my class was a melting pot of personalities, cultures, and interests. My years at Proctor were some of the best of my life: playing sports in the fall, winter and spring, hanging out at the Wise Center, going to Jakes or Pizza Chef for lunch, Fall Family Weekend, you name it Proctor was a wonderful environment to experience my high school years. It taught me that there can be sunshine and rainbows and you can live in a bubble and exclude the outside world. However, the Army has taught me about the real world and that everything is not sunshine and rainbows. The past four years have been filled with powerful learning experiences. Proctor taught me to advocate for myself, to work hard, and to keep my head above water when faced with challenges. These lessons have served me well, and now as a Sergeant, or E-5 with promotable status to Staff Sergeant or E-6, I am able to use my past experiences to motivate, manage, and problem solve with my fellow soldiers. Proctor was a great place to grow up, and prepared me well for the melting pot that is the Army, and I'm thankful for the opportunity to serve. Proctor is like a LGOP (Little Group of Paratroopers). LGOPs is a term we use on the Drop Zone to establish out of the chaos that is an Airborne operation a sense of calm. It is a small, yet lethal fighting force to push on the objective and neutralize the enemy, where we rely on each other and trust each other with our lives. The Airborne is a community, a small community like Proctor, where Paratroopers come from all walks of life, some even from different countries. All of us share a mindset, goals, and the discipline necessary to accomplish any mission that is thrown at us by any means necessary. I have been lucky to be surrounded by that same community throughout my entire life. Proctor gave me a foundation of a close knit group of people where everyone has similar goals, desires, and values that they want to bring to the world. I look back and feel incredibly blessed that I have had the opportunity and privilege to be a part of community like Proctor, and continue to be thankful for my community in the Airborne today. Proctor Academy was my home from 2005-2009. 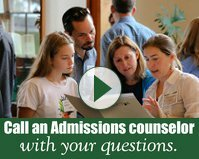 On the surface, Proctor does not seem all that different from the plethora of other New England boarding schools; it has sports, arts programs, dorms, small class sizes, and an assortment of outdoor activities. However, as you dig deeper you are drawn to the school’s emphasis on experiential learning, community, and service. Images of students partaking in Project Period, Ocean, Mountain, and various European Classroom excursions flood their media and effectively garner a great deal of attention from prospective students. I will be the first to admit that I took full advantage of such experiential learning opportunities; I was fortunate enough to travel to England, Croatia, Bosnia, France, and Italy; immerse myself in their various cultures and learn about their war-torn past. Of course, as a kid I did not realize the tremendous advantages and safety we are afforded here in America. But, as I grew older and learned more about what that safety meant, and about the great cost of liberty, I found myself drawn to a strong sense of obligation to repay the United States for the protection afforded by my citizenship. I commissioned into the Army Signal Corps via the Reserve Officer Training Corps (ROTC) in May 2015. 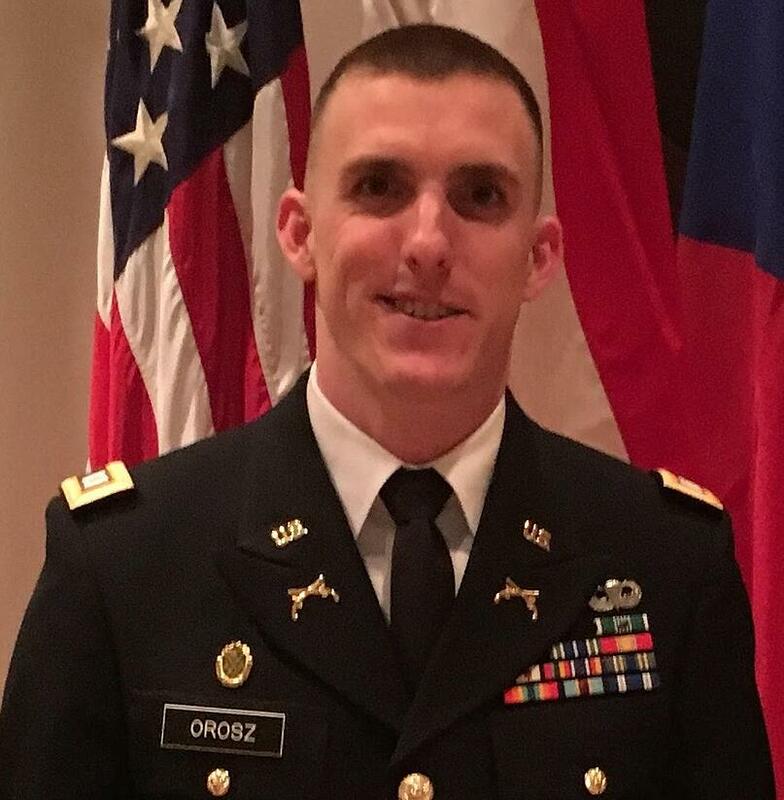 After completing the Signal Basic Officers Leadership Course (SBOLC) at Fort Gordon, GA, I was assigned as Platoon Leader of 2nd Platoon, Charlie Company, 299th Brigade Engineer Battalion, 1st Stryker Brigade Combat Team, 4th Infantry Division at Fort Carson, CO. 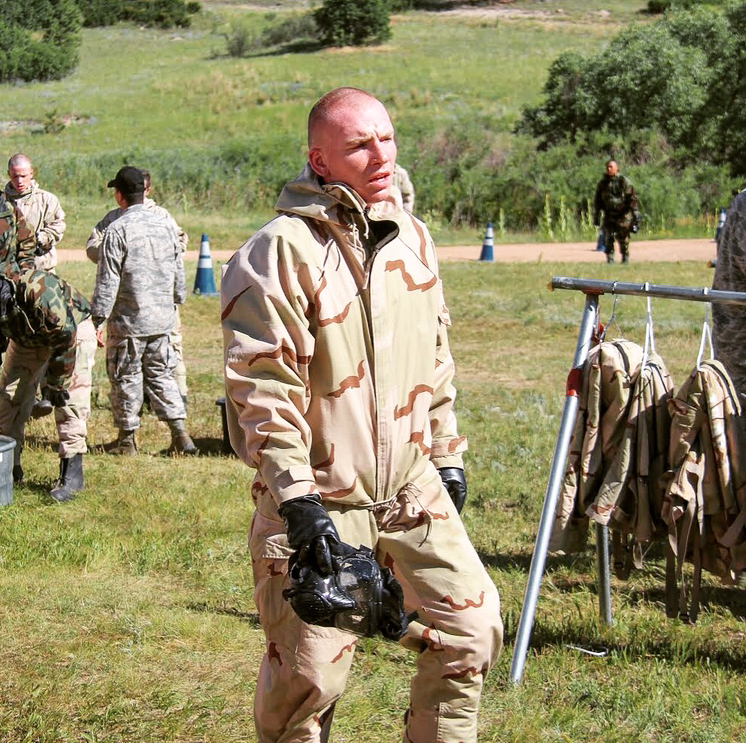 Following 1st Brigade’s Reconnaissance and Surveillance concept validation/excursion at the National Training Center (NTC) Rotation 17-7.5, I was assigned as the Executive Officer for C Co, 299BEB, 1SBCT, 4ID. There’s no such thing as balance. Balance just means you half assed multiple things as opposed to giving your all to one. The only thing Soldiers are entitled to is extraordinary leadership. It’s my job to provide that leadership. I have found that if I can go about my day while maintaining the perspective gained through my experiences at Proctor, and doing my best to implement these three principles, everything else falls into place. My time at Proctor has some of my most cherished memories. From our river trip through the goose necks of the San Juan River during Mountain Classroom, Spring 2011, finally getting that particular choke on Ross during Self-Defense, to heatedly debating different literature and the TV show Glee with Shauna. The relationships that I developed with my teachers, the administration, and the Proctor community is irreplaceable, and I always remember it fondly. But my relationship to Proctor extends beyond graduation day. I've been lucky to be able to continue my relationship with the community by helping Ross with Self Defense every winter break throughout college, returning to participate in a few sweats at Elbow Pond, and playing my Native American flute for one or two of the winter Mountain Classroom groups. Proctor taught me about community, about what it means, and how fortunate I am to have been a part of the Proctor family. It fostered my work ethic in regards to my passion for learning and physically challenging myself. I am beyond grateful for Proctor, and that still to this day, it feels like a second home. 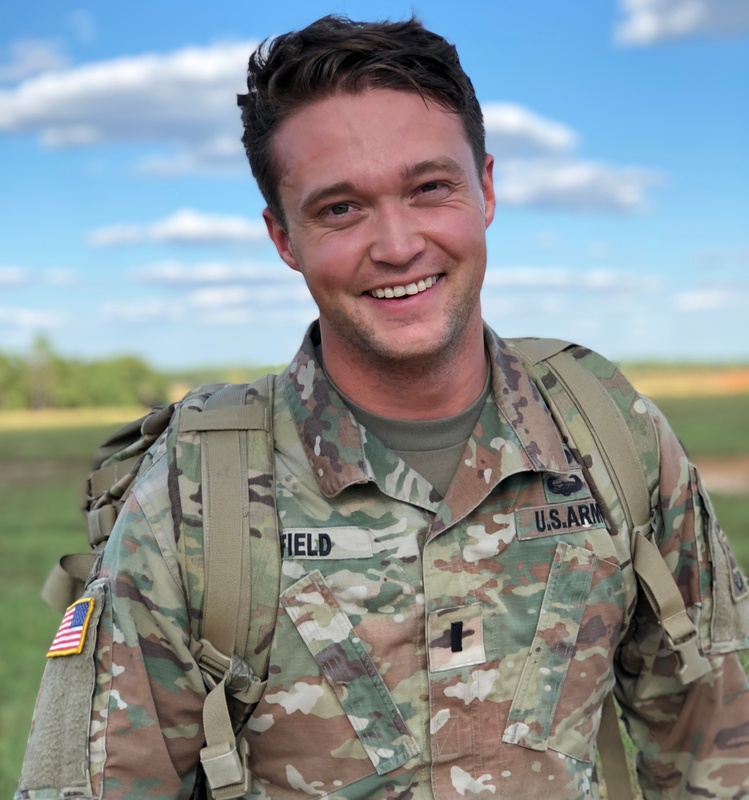 I participated in Army ROTC all four years of college (Union College) and have been serving in the United States Army Active Duty for about one and a half years. My experience in the Active Duty Army has been different than I imagined. While I didn't know exactly what to expect, the reality was much different than I had anticipated. I spent a lot of time at work, reading out of technical manuals to try and answer the question: how does my section function and what role does it play in supporting the Brigade and our medical mission? The answer was that my five-person shop provided all of the medical supplies and medical maintenance. That was one part of the job. The other was managing personnel and different personalities, prioritizing tasks, and having property accountability. It's helped me ask the questions, "How do you build a successful and unified team when you have limited time, resources, and personnel?" and "What makes a good leader?" It also taught me to trust myself; even if I am not a subject matter expert, I don't need to be in order to know generally what right looks like and the steps it takes to make a section more efficient and effective. To take charge despite being inexperienced and only twenty-three years old is okay, as long as you take accountability for the actions and inactions of everything you do. Hard work and caring will get me further than anything else. Getting yelled at isn't the end of the world. Hold people accountable and be direct about their performance. The best part of my job and what's truly rewarding is to work with talented and motivated individuals who help build the team. It is the Soldiers that make my job rewarding; the trust that they place in my leadership is phenomenal. As it relates to the military, the implications of building a successful and ready team has far greater significance than any other team that I have been, or perhaps will ever be, a part of. Those Soldiers' morale and well-being are my responsibility, and if we deploy it is my job to make sure that they come home alive. There is nothing more humbling than recognizing that. Upon graduating Proctor in May 2009, I attended the University of Tampa and was a member of the Army Reserve Officer Training Corps (ROTC) from September 2009-May 2013. I commissioned as a Second Lieutenant in the Military Police and attended the Military Police Basic Officer Course at Fort Leonard Wood, MO from July to November 2013. I was then assigned the 3rd Platoon Leader in the 511th Military Police Company at Fort Drum, NY. 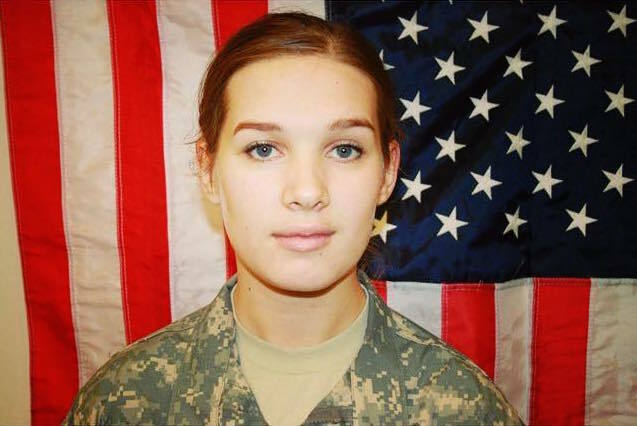 In January 2014, I deployed to Afghanistan for nine months. In October I redeployed and remained at Fort Drum for an additional year and a half. During that time, I completed the remainder of my platoon leader time and worked as an operations officer for the 91st Military Police Battalion and for the Provost Marshal’s Officer which is our Police Station for an Army Installation. In January 2016, I was stationed in South Korea at Camp Casey. There I was the Executive Officer for the 55th Military Police Company. Upon completion of my one-year tour I moved back to Fort Leonard Wood, MO from January of 2017 until June 2017. There I completed my Military Police Captains Career Course. In July 2017, I was assigned to the 503rd Military Police Battalion (Airborne) which is where I currently work as the Current Operations (CUOPS) officer in charge. When I think back to my years at Proctor, and the experiences that formed me, I think about Wilderness Orientation as a freshman, about finding a new love for backpacking I never thought I would. I reflect on my term abroad in Costa Rica as a sophomore, and on Mountain Classroom as a senior. About the lessons learned playing soccer and lacrosse, and making friends with people from all over the globe. It was these moments of stepping outside my comfort zone that prepared me for my current role and the challenges and adventures that have been a part of my life over the past five years serving our country. The most important thing I’ve learned is understanding that the Army, (like any job in the civilian sector) is a human endeavor. 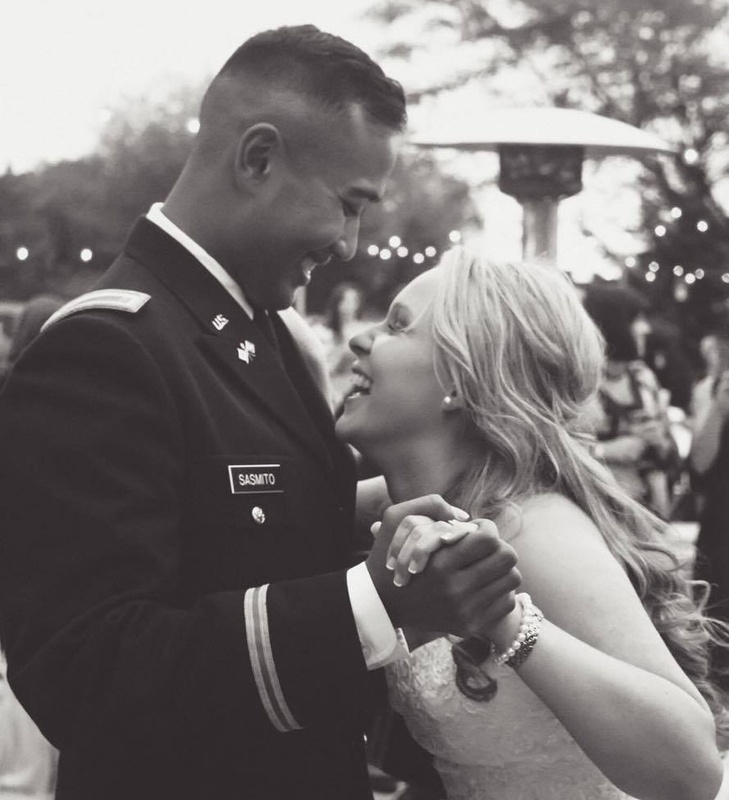 I have been in the Army going on five years and I have met and worked with hundreds of different people from diverse backgrounds, ideologies, races, ethnicities, sexual orientation/preference, and culture. Every person on a team is value added, it is your duty as a leader to find out what a person’s strengths and weaknesses are and to help them utilize their strengths to better your team. This has been one of the most rewarding parts of my role in the Army. As a twenty-one-year-old college graduate, I never fully anticipated the responsibility of overseeing roughly forty-two people and millions of dollars’ worth of equipment. 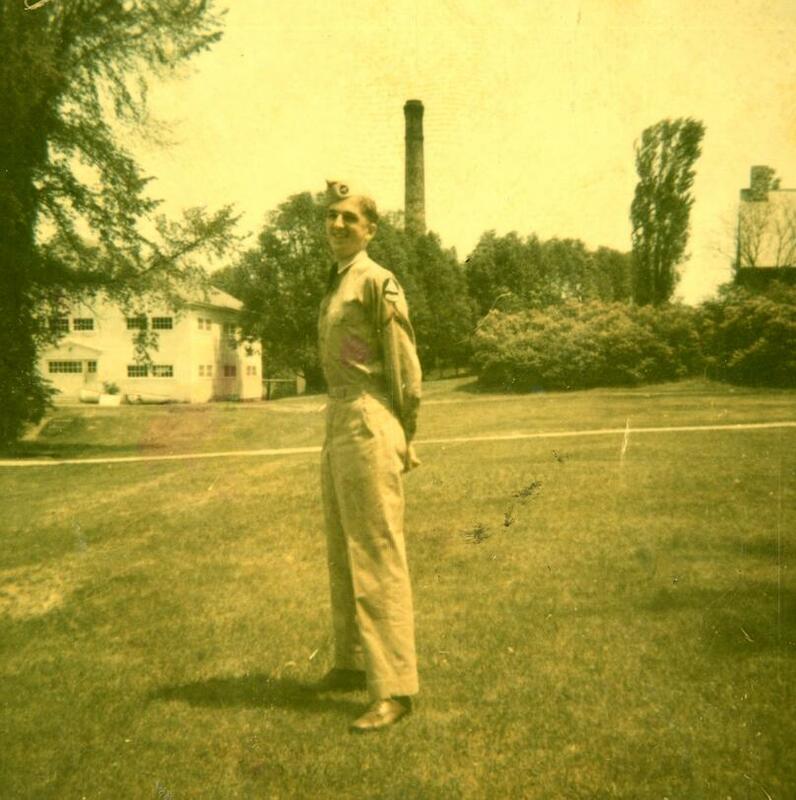 However, I took the skills of the regimented schedule and organization from Proctor and serving in the ROTC in college, and have been able to successfully apply those to my job. My advice to Proctor and to the current students is to think hard about a potential career in the armed forces and to be supportive of those students who want to pursue that direction. If a student is interested in one of the United States academies, go for it, apply early, and work hard to earn the grades required of getting an appointment. If an academy doesn’t work out, join the ROTC at your college or university. The scholarship benefits are tangible and the experience is unparalleled. Regardless, one of the most beautiful things about our country is that the armed forces is completely volunteer, and we must never discourage someone from stepping forward to serve their country when they are willing to raise their right hand and swear their oath of enlistment or commission. While not active duty yet, Chandler has almost completed his first semester at the United States Air Force Academy. Reflecting on his time in Colorado Springs, Chandler shares, "It's been a tremendous experience, challenging, rewarding, and I definitely miss PA!" He adds, "The one quote that rings true in my life every day is from William Earnest Henley's Invictus that is drilled into every serviceman and woman's head. It gives me strength and motivation as I move through the daily challenges and push myself to be the serviceman I know I need to be." 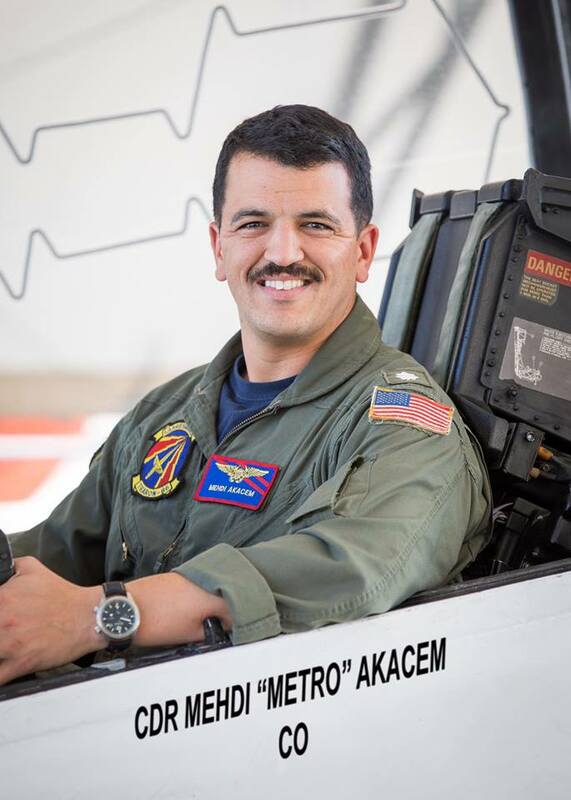 We apologize we were unable to tell all of our active duty alumni stories, including that of Mehdi Akacem's '95 (above) who serves as a Naval flight training officer and manages The Tailhook Association and Training Squadron 86 - Sabrehawks. 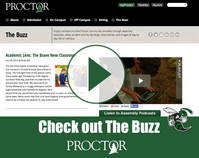 Please reach out to alumni@proctoracademy.org so we can be sure to include you in future publications!